Why are Christian Films so Bad? Four people this week asked me why Christian films are so bad. Each person defined “bad” differently, but they all realized that faith-based films are typically made differently than other films. They also suggested that non-Hollywood faith-based films must live up to a different standard than Hollywood films. 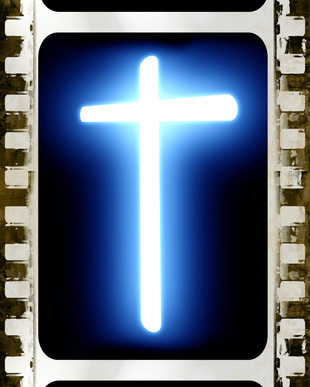 One of the ways a faith-based film differs from a Hollywood film is where the message is placed. Hollywood likes to keep the action plot clean of any messages to avoid it coming across as propaganda. Most faith-based films firmly plant the message into the action plot because the message is more important than the story. Most faith-based audiences hold a strong sense of frugality when it comes to their view of spending money on message films. There is an unwritten rule that the producer must do his best and trust God to make up the difference, which he does by stretching the dollars. Hollywood on the other hand has learned that the more money you put on the screen, the greater number of people you reach. Most faith-based producers do not hold to this concept, as they are honored for their frugality. The downside is that their message films are seen by far fewer audiences. However, this doesn’t cause any problems since they are rewarded for the message, not how many people the message reaches. Faith-based filmmakers are also locked into the type of stories that they are allowed to make. The films are made based on how the niche audience defines a clean film, rather than based on a powerful story. This results in most faith-based films being void of bad language, conflict, and sinful struggles. In other words, everything is nice and sweet. Years ago I spoke with Michael Landon, Jr. about his desire to make a gritty urban drama about redemption, but his fans wouldn’t allow him to do anything that wasn’t in keeping with his current Hallmark style of films. While his films weren’t officially faith-based, it did cater to a similar audience that held to high ideals. When Les Misérables was released, I found the story to be one of the greatest demonstrations of redemption in the history of the motion picture industry. But it was not a faith-based film. I was a bit confused though, when I saw many faith-based audience members Facebooking their friends with warnings not to watch such a disgusting film about a prostitute. Clearly they weren’t aware that the film was about a man – Jean Valjean. Nor were they aware of the films powerful message that was gently salted into a subplot. Valjean was a recipient of grace and mercy. The gift was so empowering that he was compelled to pass it on to others by creating jobs for people. One person that he saved, had fallen into prostitution in an attempt to care for her child. On her deathbed Valjean commits to see that her daughter learns of grace and mercy too. He even sees to her marriage and a better life. I’ve seen many of the above films and can vouch for the inclusion of strong messages, but by no means do these films come close to being faith-based films. The violence, sin filled struggles and choices force the films out of the category. However, these films are very realistic, raw and honest about the struggles that the main characters face. The realism and gutsy truth, in my mind, are far more powerful and important than my need for watching a squeaky clean movie. I think it’s time for someone to create a faith-based film that is excellent and breaks all the rules. I’d love to see a lot more money put on screen for a wider reach. I’d also like the message salted into a subplot rather than in the action plot. And, I’d like to see a very realistic drama versus one that is made squeaky-clean. Then, I think people will stop asking me why Christian films are so bad. But then again, the film that breaks all of those unwritten rules would no longer be seen as a faith-based film. A superb post! Thank you, Mr. Powers! We Christians sometimes forget that Jesus hung out with prostitutes, tax collectors, and those whom our culture might view as the “scum” of society. We also forget that Jesus criticized the Pharisees, those who claimed to be righteous because of their adherence to the Law yet looked down on prostitutes and tax collectors. Jesus called the Pharisees hypocrites. It’s been my experience that the “scum” of society have a lot to teach us about the redemptive love of Christ. As authors and screenwriters who follow Christ, we must not be afraid to follow Him into the dark places of life in order to set the captives free.